A look at the fog at Mazda Laguna Seca raceway Saturday morning around 8 am. 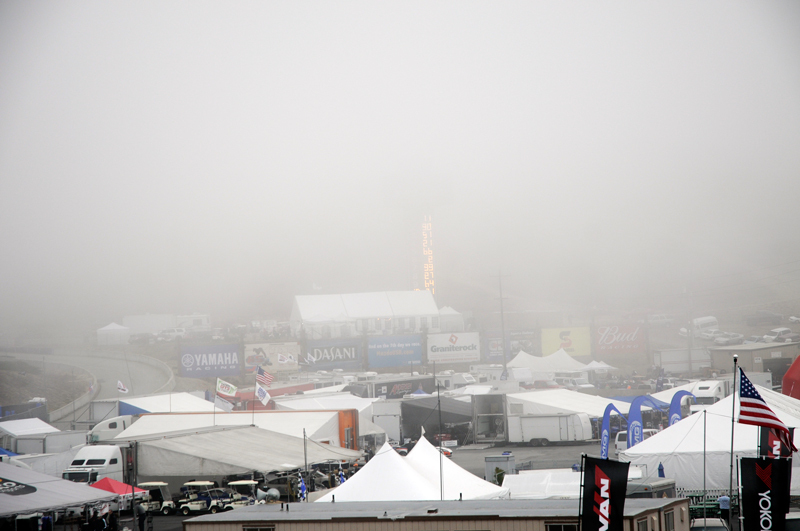 SALINAS, CA -- Fog greeted racers and fans this morning at the last stop on the schedule for the American Le Mans Series. However, with the sun coming out as ALMS practice was just finishing, the fog was soon just a memory. Wonderful pic in the fog!